It’s easy to find out what’s happening at Miller-Keystone Blood Center! Earn points every time you donate, and redeem your points in our Online Donor Store for a wide variety of gifts. To learn more, click here! The 5th annual “Bleed Orange” Blood Drive sponsored by the Lehigh Valley Phantoms takes place at the PPL Center on Tuesday, March 19 from 12:30pm-7pm. Donors will be automatically entered to win special Phantoms prizes like game tickets, pre-game Zamboni rides, VIP warm up bench spots, autographed memorabilia from your favorite Phantoms, and more! Click here to schedule your donation. This year’s “Bleed Purple” Blood Drive sponsored by the Reading Royals takes place at the Santander Arena on Tuesday, March 26 from 2:00pm-7pm. Donors will be automatically entered to win special Royals prizes including game tickets, autographed memorabilia, and more! Click here to schedule your donation. Celebrate Earth Day with MKBC on April 22! All registered donors will receive a complimentary plant (at our fixed sites) or complimentary plant seeds (mobile blood drives) courtesy of Hickory Grove Greenhouses. Celebrate the 25th Anniversary Jubilee Celebration of our “Cruise Aboard the LineLine” Signature Fundraiser on Friday, May 3 at our Bethlehem headquarters! Join Honorary Captain Kurt Landes of the Lehigh Valley Iron Pigs, and premier sponsors Air Products and BSI Corporate Benefits for an exciting adventure as we Cruise Around the World. Sponsor opportunities are still available, and tickets can now be purchased. Click here for more information! Is your organization a member of the Greater Lehigh Valley Chamber of Commerce or the Greater Reading Chamber Alliance? In partnership with these organizations, MKBC now offers a unique way for Chamber members to get more involved and help save more lives in the community. Through our Bleed Local program, Chamber members can enjoy special perks by customizing their level of support through hosting Blood Drives, contributing financially or simply branding your business Bleed Local! For more information on how your organization can Bleed Local, click here! Double Red Cell donations let you give more of what’s needed most by transfusion patients. Double Red Cell donations are similar to whole blood, except a single machine gives you the ability to safely donate two units of red blood cells during one sitting, while returning your plasma and platelets to you. Our Make Mine A Double Club rewards donors who make the commitment to donate Double Red Cells three times throughout the calendar year with an exclusive, Make Mine A Double T-shirt. Click here to learn more. While only 6.6% of the population has O Negative blood, 100% of the population can receive it. This is why O Negative blood is considered the “Universal Blood Type,” meaning it can be transfused to anybody in need regardless of their blood type. This is important in emergencies when hospitals don’t have time to determine the patient’s blood type. It is also why O Negative blood is always in short supply. Join our Universal (O Neg) Heroes Club and receive a FREE Exclusive Universal (O Neg) Heroes Club t-shirt when you meet the annual requirements. For more information, click here. Hospitals tend to schedule surgeries or treatments requiring platelets on Mondays & Tuesdays. Since platelets only have a shelf life of five days, platelets that are donated on Saturdays & Sundays are used early in the week. In addition, less people tend to donate during the weekends, creating a potential shortage on those days. Learn about our Platelet Weekend Warrior Club, which rewards donors who make the commitment to donate platelets at least 12 weekends throughout the calendar year. To learn more, click here. MKBC is committed to finding perfect matches and saving more lives in our diverse, ethnic communities through our Hope For A Match Rare Donor Program. 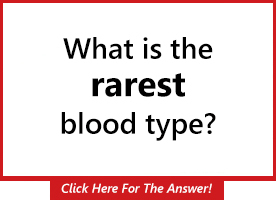 Like the color of your eyes and hair, blood type is also inherited… and while rare blood types exist in every population, the challenge is finding a perfect match for patients. By diversifying the blood supply, we can instill hope and save more lives! To learn more about our Hope for a Match Rare Donor Program, click here! Our Celebrate Hope program works to unite some of our transfusion recipients with the blood donors who helped save their lives! If you received blood in transfusions performed by our member hospitals and would be interested in possibly meeting some of your lifesavers, click here for more information. Would you like to share your Miller-Keystone Blood Center experience with the community at large? In partnership with your Lehigh Valley Phantoms & Reading Royals, the LifeSaver of the Game recognizes MKBC donors, volunteers, media partners, sponsors, board/committee members, employees, first responders, medical personnel and more, that have a direct, positive impact on saving lives in our community. To nominate someone as a Lifesaver of the Game, click here! Did you know that by using MKBC’s Mobile Shortcut, you can schedule donations, view appointments, review test results, rate our staff and more, all from the comfort of your mobile device(s)? Click here to learn more or set up your device! Blood Drive Coordinators — did you know that by using MKBC’s Mobile Shortcut, you have access to all of the tools you’ll need to run a successful blood drive? You’ll find info on your past blood drives, marketing materials, promotional messages and more, all available from the comfort of your mobile device(s)! Click here to learn more or set up your device. I have donated blood & platelets since the early 1980’s. It was called by Reading Hospital back then ( Before Keystone) and told a Leukemia patient and I were a match AB pos, and was asked if I could come down ASAP to help out, and I did. Never met the young lady, and never knew how she made out.